I was recently driving along ‘Parkway’; a busy road lined with bars and restaurants which ploughs through trendy Camden. However, whilst waiting at a set of traffic lights, a woman jogged towards me, arm held aloft. From Camden, that’s a very good journey indeed, and I was more than happy to forfeit my cuppa! Only problem was, we were in the middle of Camden’s complex one-way system and, in order to head in the right direction, a bit of twisting and turning along a number of small side-streets was required. Whenever I have to do this (which, unsurprisingly in London, is quite often), I often quickly explain the reason to my passenger, for fear that it looks like I’m deliberately going around the block in order to nudge the meter up! The passenger was most cheerful and clearly very friendly; an energetic woman colourfully dressed in a long, purple coat and red hat. “Have you been shopping at the markets?” I asked, turning into yet another one-way street. Now that I’m finally out of Camden’s labyrinth one-way network and heading through the quicker, tranquil roads of Regent’s Park, I ask the passenger where exactly in Earl’s Court she’s heading for. I’m interested to learn a little bit more about my passenger’s experience in make-up. “He’s very approachable… a polite man but, when working; whilst in character, he is deeply intense. I worked on Saving Private Ryan too; that was an interesting job. Very upsetting though. I did make-up on the opening scene… you know; where the soldiers storm the beach and get shot at and blasted from all sides. “Do you get to travel much with your job then?” I ask. “Quite a lot yes. I don’t mean to sound ungrateful; I know how lucky I am, but it can get pretty tiring sometimes; especially when you’re stuck in an open field for 12 hours in the freezing rain, it doesn’t feel that glamorous! By now, we’ve hit the inevitable traffic. I apologise for the hitch, and start to wind through a number of twisting shortcuts. “Oh, don’t worry about it” my passenger reassures me. “I grew up in London; I know what the roads are like around here. I do indeed know it. The passenger is referring to a fancy pedestrian walkway; a colonnade sheltered by a long, fancy roof. 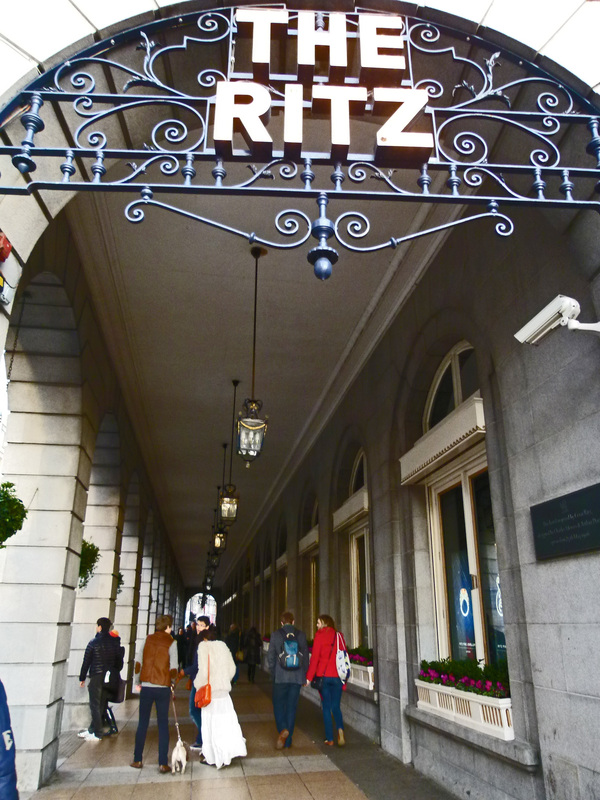 It runs along the front of the famous hotel; the windows and blue-coated doormen offering a tantalising glimpse into the luxury which lies within. “Well, I was just a kid at the time; only about 19. I’d just passed my driving test, and I became the proud owner of an old Mini. The image which this conjures up in my mind makes me laugh so much that I nearly have to pull the taxi over! The make-up artist laughs too, amused at the impact her tale of juvenile anarchy has on me. Usually, I’d take such a story with a pinch of salt, but the passenger is certainly eccentric enough to have committed such a reckless stunt! As we drive on, I’m reminded of a film; revolutionary in its make-up and special effects which was filmed in the very square to which we are headed. She pauses and looks out of the window briefly, clearly remembering, and then smiles to herself. 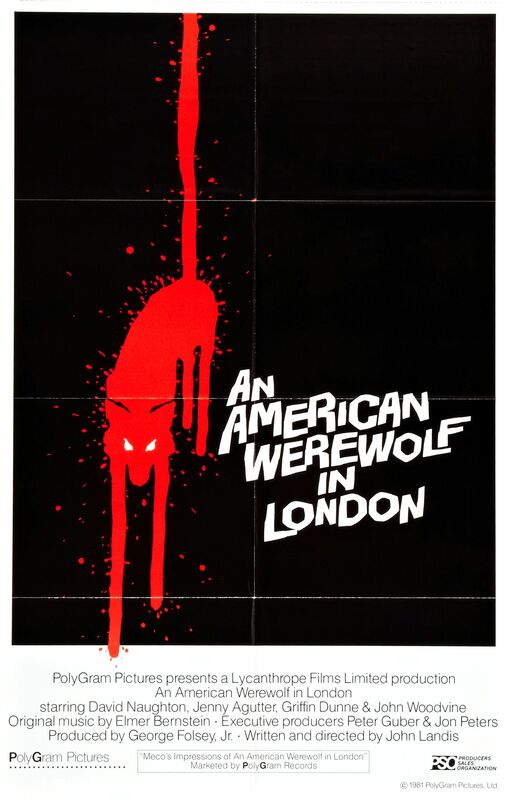 To those unaware, ‘An American Werewolf in London’ is a film which has steadily gained the status of cult classic. Released in 1981, the movie tells the story of two young, American friends; David and Jack who, as the story begins, are backpacking across the windswept, Yorkshire Moors. Seeking a hot meal and a cup of tea, the pair come across a rather sinister pub called ‘The Slaughtered Lamb’. (London has its very own ‘Slaughtered Lamb’ pub, named in homage to its famous movie namesake. It can be found on Great Sutton Street in Clerkenwell, and has a great music venue downstairs). However, shortly after leaving the pub and as night sets in, the pair are attacked by a large and wild, vicious beast. Jack is killed instantly but David, who is severely injured, survives and slips into a coma. When he awakes several weeks later, David finds himself lying in a London hospital bed. The authorities tell him that he and Jack were ambushed by a crazed lunatic, but David knows better and insists that the attacker was a creature; a werewolf. Naturally, his bizarre recollections are brushed off as a symptom of the trauma through which he has been. 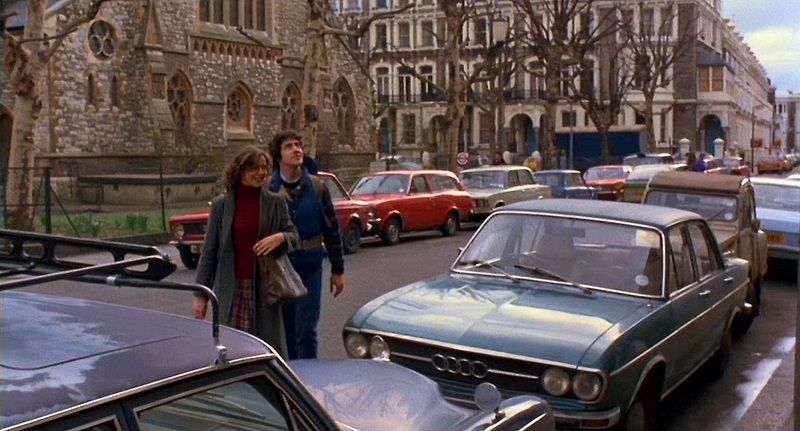 After being discharged from medical care, David is invited home by a young nurse; Alex Price (played by Jenny Agutter) who has rather fallen in love with the young American. Her flat is on Redcliffe Square, near Earls Court. As he recuperates, David is haunted by gruesome nightmares and visions of his dead friend, Jack. Every time Jack appears- including a haunting in the Redcliffe Square apartment- he appears to be in an advanced state of decay. He warns David that, as he has been clawed by a werewolf, he is destined to become one himself. Sure enough, on the full moon, and whilst Alex is on night-duty at the hospital, David undergoes a startling and painful transformation… Never before has Redcliffe Square witnessed something so terrifying! 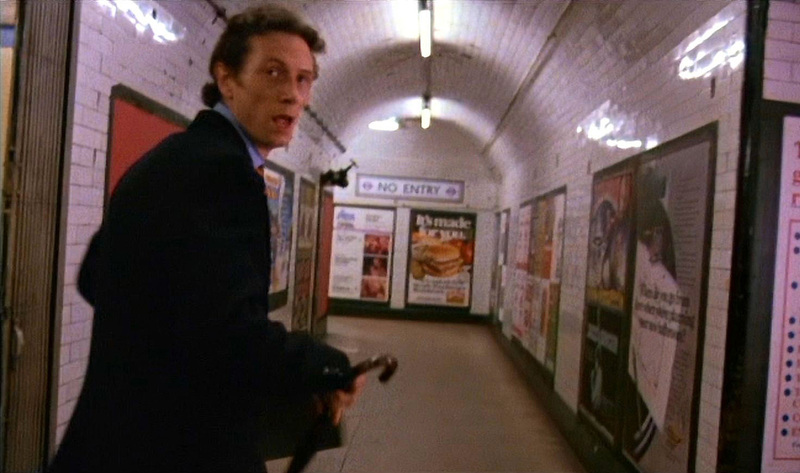 Following the metamorphosis, David- in werewolf form- proceeds to go on a midnight rampage across London; feasting on a number of hapless victims. The following morning, David has returned to his human form. Despite waking up in the unusual location of London Zoo, he has no memory of his violent antics from the night before… and it takes a talkative London cabbie to make him realise what his nocturnal self has become! After failing to get the police or authorities to take him seriously, David is forced to roam the streets of London and, as night falls, he finds himself in the ‘Eros Cinema’ on Piccadilly Circus. (The Eros was a cinema which used to screen films of a more adult nature. Back in 1981, the area around Soho and Piccadilly Circus was notorious for its seediness and attractions of a more red-lit nature. The Eros closed in 1985, and has since been replaced by a far more clean-cut Gap clothing store). For this amazing sequence, director John Landis was granted permission to completely close Piccadilly Circus off to the public for a night-time shoot. All of the people you can see are actors, all of the vehicles carefully choreographed. The only other film to have been granted this amount of access to this famous London landmark was the more recent Harry Potter and the Deathly Hallows. When the American Werewolf in London scene was being prepared, the film crew had to do a sweep of the area, making sure all entrance points were closed, and no members of the public were around to stumble upon the carefully organised set. There is a story (probably an urban legend, but fun all the same!) that an elderly homeless fellow, tucked away and fast asleep in an alleyway was missed by these roaming checks. A few hours later, when he awoke, the filming was well underway; complete with crashing cars, screaming actors and a marauding, animatronic werewolf… needless to say, the elderly tramp received quite a shock! “I was 16 years old when I got that job” continues the make-up artist. “Gosh, I was a precocious kid; a little snot really! I just went up to them and asked them to take me on. I practically insisted. But you could do that in those days- it was certainly a lot easier to get into that business than it is today. Nowadays, you have to go through all sorts of hoop-jumping; lots of expensive courses and training. On the American Werewolf set, I was just a tea girl; they had me running all over the place. I got to see things though; I picked up lots of knowledge on set. We finally arrive at Redcliffe Square and the friendly make-up artist bids me a cheerful farewell, leaving a generous tip in the process. Putting the cab in gear, I drive off, turn the corner, and drive past the apartment where a team of talented make-up artists worked their magic all those years ago. When I was a nipper, this was THE film to watch. All these years later and the special effects still hold up really well. 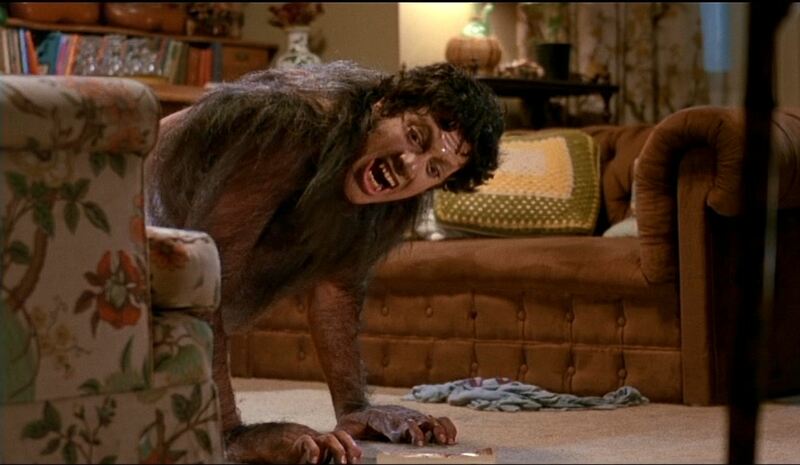 Such a well deserved oscar for Rick Baker’s work in that unforgettable change scene in the flat. Nice to see a younger Alan Ford there. Seems like he’s been around forever. What about the possibility of a nurse affording a flat in Redcliffe Square? I’d say making it to Trafalgar Square from Earls Court in about three seconds in Brick Top’s cab is more likely. Ta for the post Rob. Really enjoyed it.